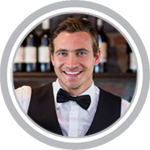 Ohio alcohol seller-server safety training ensures that sellers and servers of alcohol understand state and local liquor laws and serve alcoholic beverages responsibly. An alcohol seller-server training program can also significantly reduce the risk and liability associated with alcohol service. The Ohio Division Of Liquor Control is responsible for the control over the importation, distribution, sale, and consumption of alcoholic beverages, which applies to all retailers, suppliers, and wholesalers who are licensed to manufacture, sell, serve, transport, or store liquor in the State of Ohio. 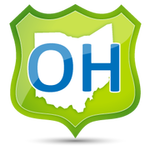 We offer online Alcohol Safety Training in Ohio for: Columbus, Cleveland, Cincinnati, Toledo, Akron, Dayton, Parma, Canton, Youngstown, Lorain, Hamilton, Springfield, Kettering, Elyria, Lakewood, Cuyahoga Falls, Dublin, Powell, Canfield, and many more!